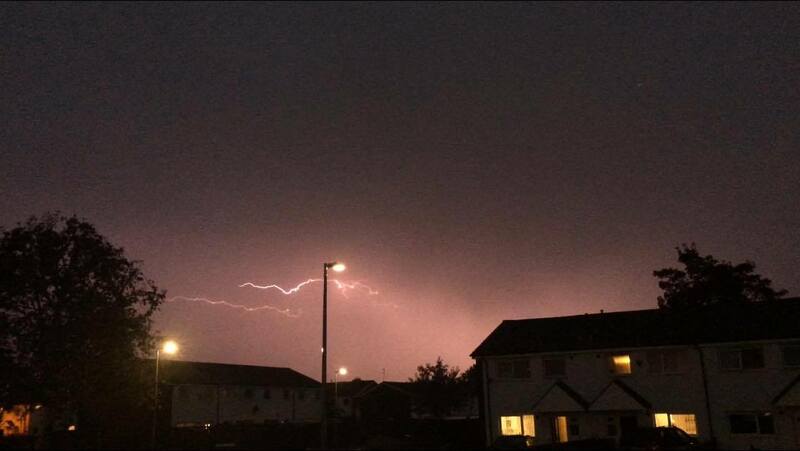 Sweltering temperatures progressed to a serious storm over Salford on Tuesday evening as the skies went black, before crashing thunder, pelting rain and lightning. 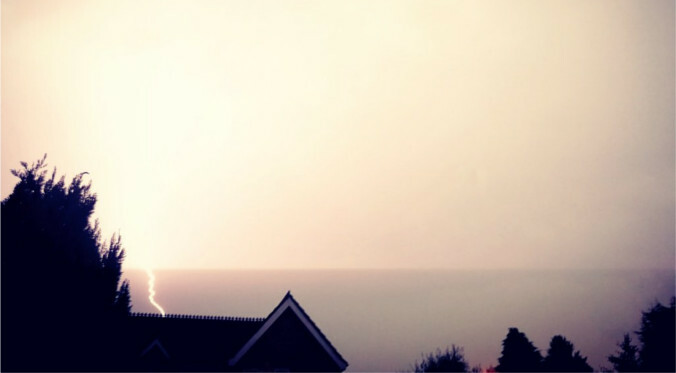 Mike Matthews sent in this amazing video as fork lightning strikes near Chomlea Manor looking towards Weaste in Salford. 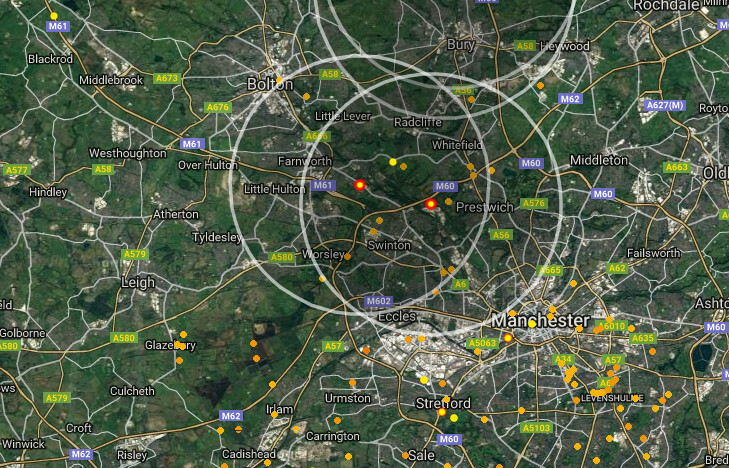 Real time lightning maps show how Salford has been peppered with strikes as the electric bolts touched down over Worsley, Swinton, Eccles and Irlam. Sheet and fork lightning blistered through the heavy clouds from around 6pm on Tuesday 13 September. Loud thunder rolled around Salford streets, echoing across neighbourhoods. 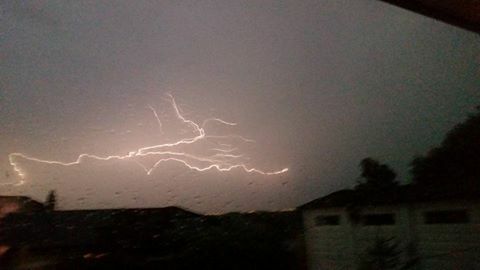 Readers in parts of Irlam and Cadishead are also reporting their power, internet and TV reception has been knocked out by the lightning storms. 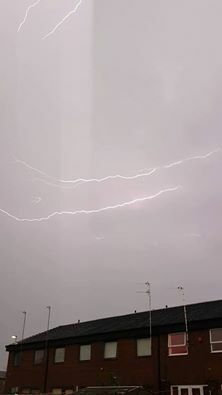 Aimee-Louise Costello sent in this video of houses being shaken by thunder and lighting at Irlams o’th Height in Salford. 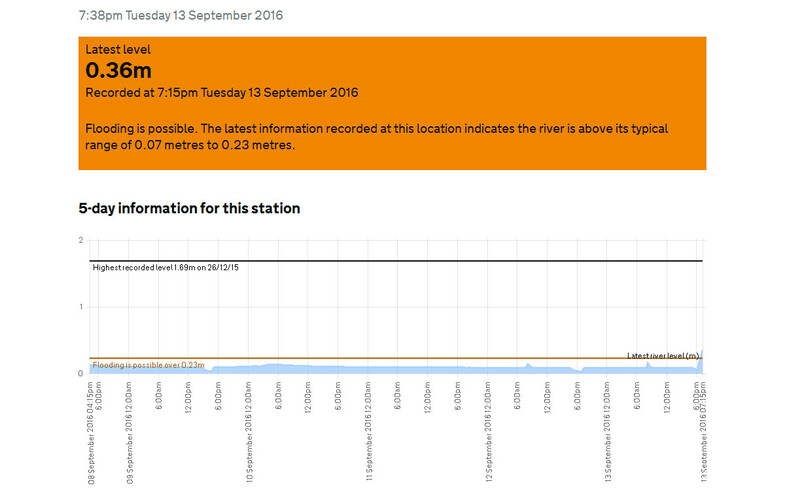 Readers are also posting reports of flash flooding caused by the super-heavy rainfall. Readers concerned over recent heavy rainfall leading to a rise in the River Irwell after Salford’s devastating Boxing Day floods are keeping on top of the very latest reports. 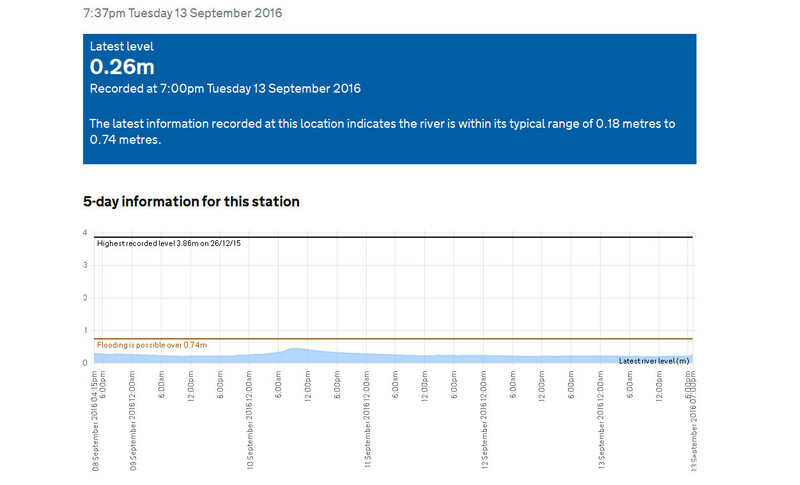 River Irwell levels are expected to fall tonight after the heavy rain. 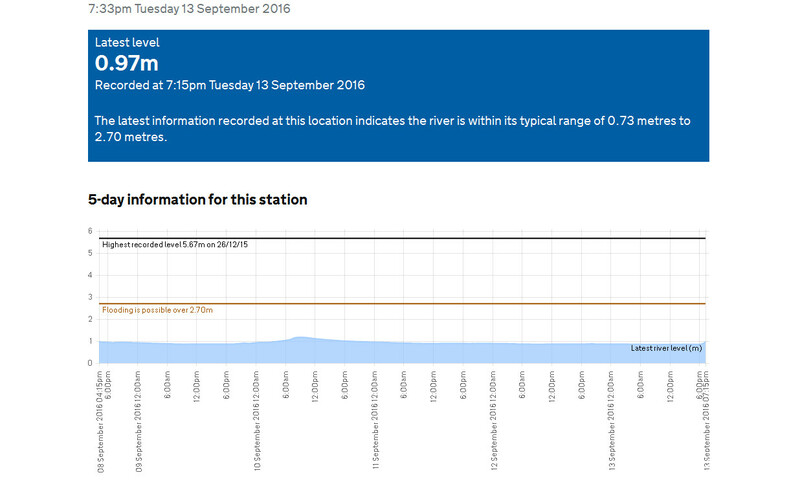 Worsley Brook at Chestnut Road is, however, showing elevated levels above its normal range. Locals should be wary and keep an eye on Environment Agency warnings if they live nearby. The Met Office has issued a late yellow alert for thunder and rain in Salford. Their lastest forecast reads: “Outbreaks of showery rain may turn torrential and thundery across parts of northern England and southeast Scotland. “Whilst most places will miss the worst, there is also a risk of large hail, frequent lightning and strong winds. “Please be aware that this could cause flash flooding and disruption to travel. “A very warm and humid air mass is in place across much of the UK.